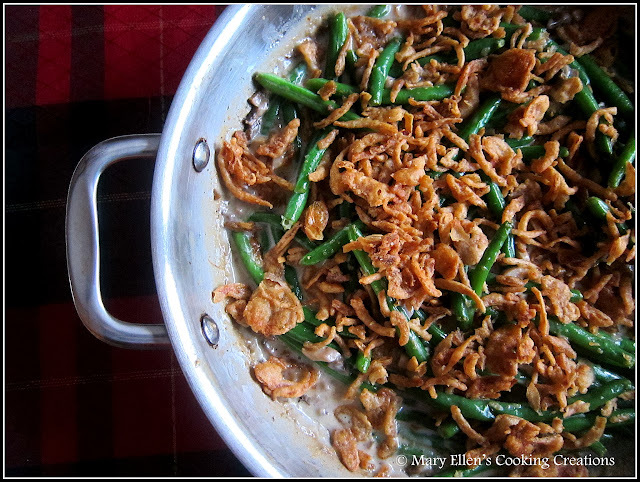 Hosting Thanksgiving – A Guest post by Mary Ellen Smith of Mary Ellen’s Cooking Creations. 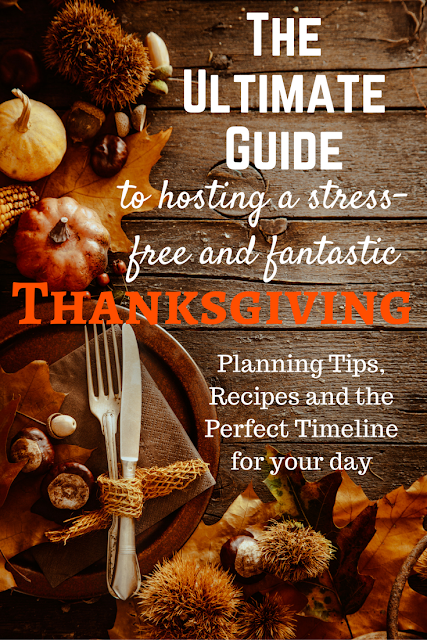 Hosting Thanksgiving can be stressful, whether it is your first time or 20th. From the beginning stages of menu planning and shopping to all of the prep work – cleaning, setting up, making sure you have enough space – it’s a lot, and that doesn’t even include the actual day! Hopefully you get enough sleep to get up early to get everything going because it’s a long day! Then you have to figure out how to juggle things in your oven, cook all of it and make sure it is delicious and on the table on time. And while you are doing all of this you have to talk to your family and friends and try to keep the kitchen from looking like a tornado went through. No problem! Seriously, there is nothing to be stressed about if you get organized and follow my tips. First things first – make lists. Plan your menu (click here for some of my favorite recipes!) and then make a master shopping list. Your shopping list will be huge, so break it up into a few lists: things you can get ahead of time (spices, herbs, anything canned, flour, beverages), any non-food items you need (new tablecloth, napkins), things you can get a few days out (the turkey, potatoes, cranberries) to things you have to get the day before for optimal freshness, like any store-bought pies, fresh vegetables and fresh flowers. While we are talking about food, there is always the question of how to cook the turkey and to brine or not to brine. I’m all for brining, stuffing with aromatics, rubbing herbs and butter under the skin and seasoning the skin. 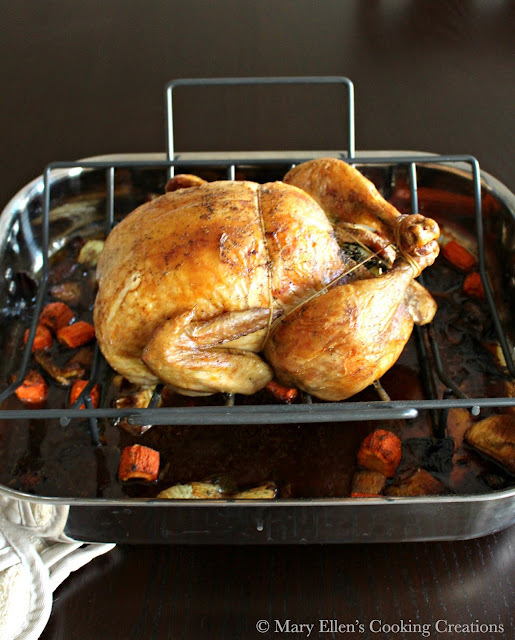 I have a great post with instructions on brining as well as a timeline here. The next list I make is a timeline. I developed this timeline several years ago and it worked so well that the food hit the table and I called everyone to dinner at exactly 3 PM, just as I had planned. I use it every year. A few days before Thanksgiving pull out all of your dishes, serving dishes and serving spoons to make sure you have enough. Wash all of them to get them sparkly clean for serving. Then, I like to figure out what is going in each bowl and sometimes even use post-it notes to keep them organized. If you are planning on a buffet, set it up the night before as long as it won’t be in your cooking space. Don’t leave setting your table until that morning. Iron your tablecloth, put the leaf in your dining room table, set the table, make your centerpiece and set out the candles… and matches… a day or two in advance. While you are at it, set up a self-serve bar area away from the cooking area so guests can help themselves without getting in your way. You don’t have to wait until that morning to start cooking. Prep as much food as you can ahead of time. Wash your veggies, peel and quarter your potatoes and store them in water in the fridge for a day or two, blanch your beans, put butter on/in a serving dish, set out all of the dry goods you will need (flour, broth, salt, pepper, etc), get all of your pots and pans and cooking utensils out and ready. And of course, all desserts can be made ahead of time. I have more tips and information in this post, but before I go I want to share these two tips. I always get comments on them because they are things we’d rarely think about when there is already so much on our minds. – Everyone loves leftovers, but who is going to come to your house with empty containers? Buy a bunch of extra plastic/to-go containers or Ziploc bags so you are ready to send everyone home with leftovers. – Things heat up quickly in a full house. So if it is cold where you live, turn down the heat an hour before people get there. It’s going to get hot fast especially with the kitchen on overload. I’d love to hear from all of you – what are some of your favorite entertaining or holiday hosting tips? What have you learned along the way?